1st day of the CrossFit Endurance certification. Everyone is glistening after doing a fun endurance WOD. I had the best week off last week. My body and spirit both got the ample rest they needed. 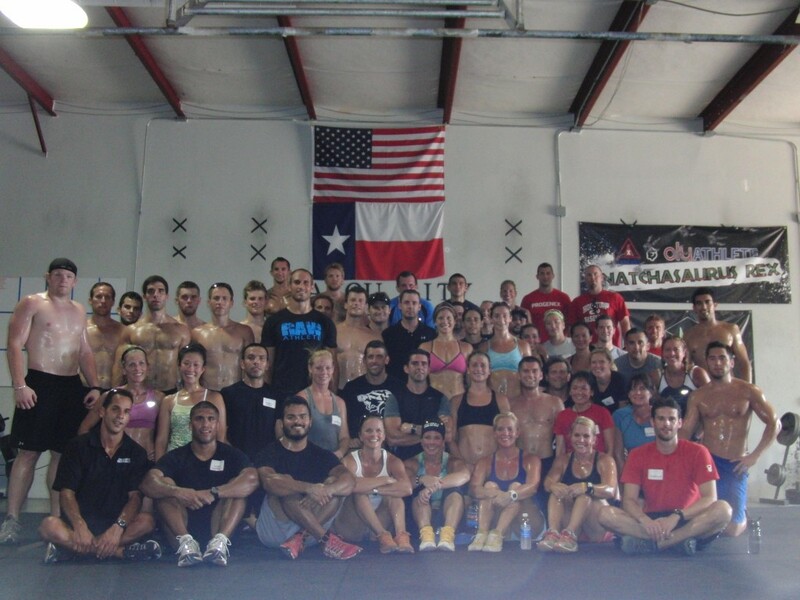 This weekend, I went to the CrossFit Endurance certification. What an amazing experience. I learned so much about proper run technique, how to fuel for endurance sports, how to program for my 1960 CrossFit team, the list goes on and on. I definitely feel convicted as far as my nutrition goes. I tend to go in cycles when it comes to diet. I’ll be spot on for a few weeks and then it all goes out the window as I binge on fajitas, rice, chips, and salsa. What can I say, my Puerto Rican genes are strong when it comes to rice and beans and anything salty. I did the entire workout as prescribed in 36:35. My legs were fried from running all weekend. It was 104 degrees outside. I thought I might need the puke bucket during round 5. But I finished it, and I felt awesome!!! I’m really looking forward to the rest of the week. We leave for Austin tomorrow to attend the Garage Blueprint Seminar. It’s going to be an action packed couple of days learning every aspect of running a CrossFit affiliate. I definitely believe it’s important to educate yourself before opening any business and to learn from other people’s mistakes. I can’t believe 1960 CrossFit is opening in just a couple of weeks!!! I’ve never poured myself so completely into a project. I must say, Chad’s support and belief in me has been the best part of the journey so far. I am so blessed to have a husband who loves and trusts me completely.